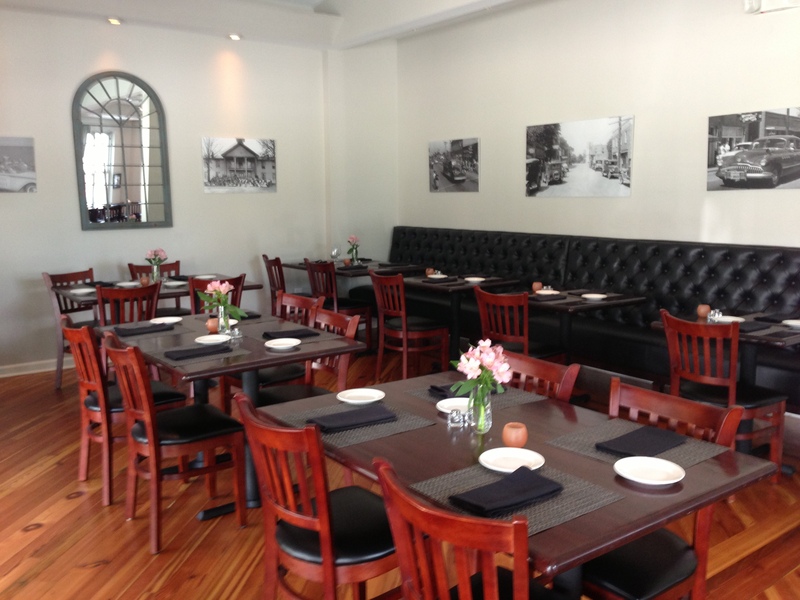 Academy Street Bistro is the newest restaurant in downtown Cary. Chef Brian Fitzgerald moved to Cary from New York City to start his own restaurant featuring New American cuisine. 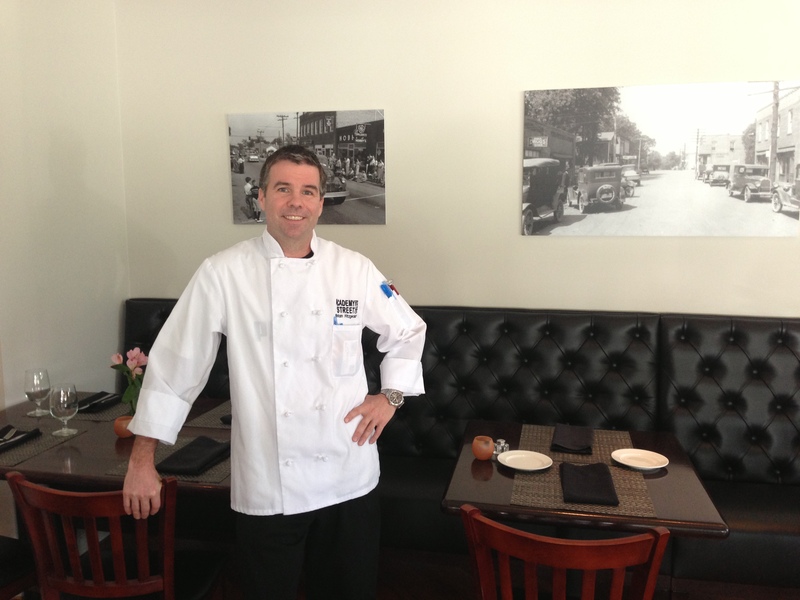 Town of Cary has been supportive of Chef Brian&apos;s endeavors, supplying him with old photographs of downtown Cary. The black and white photographs hang over the black tufted leather booths and even sit on the bar as coasters. The restaurant has a classy bistro feel and also has a relaxed bar atmosphere. The bar area has high top tables and a TV featuring one of Chef Brian&apos;s favorite channels, The Food Network. One of my favorite parts about Academy Street Bistro is the patio, which sits on the street of downtown Cary. I enjoyed lunch with my friend, Paul. 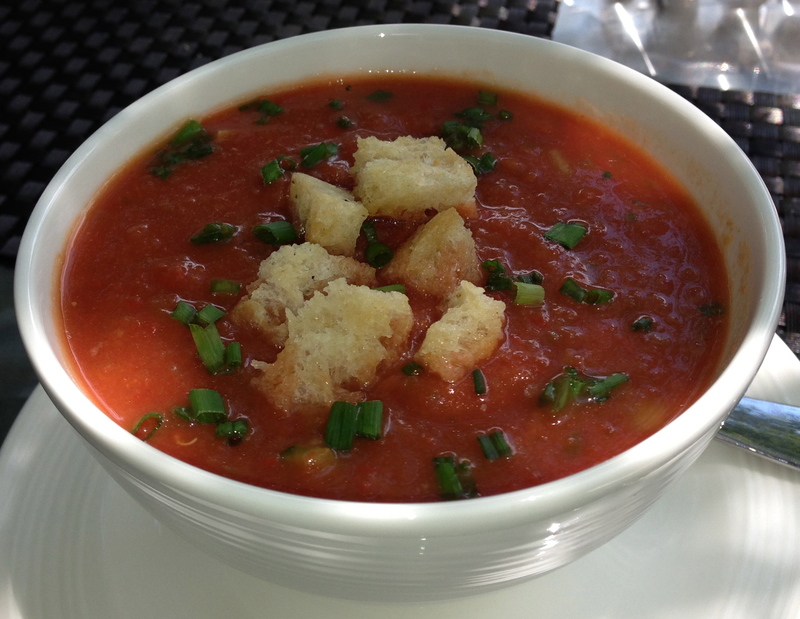 We started our meal by ordering the gazpacho soup, the perfect appetizer for al fresco dining. This chilled raw vegetable pureed soup had a rich tomato flavor. I especially enjoyed the focaccia croutons, which added a nice crunch to the soup. The gazpacho soup is so fresh because Chef Brian often visits the Cary Downtown Farmers Market for his produce. He’s made quite a name for himself already at the market. The market’s patrons support Academy Street Bistro and appreciate the fact a Cary chef is buying local. Chef Brian will even be conducting cooking demonstrations at the market in the next few months. I couldn&apos;t decide what to order during my lunch at Academy Street Bistro. Luckily, my friendly server made an excellent recommendation. I enjoyed the jumbo lump crab cake for lunch. 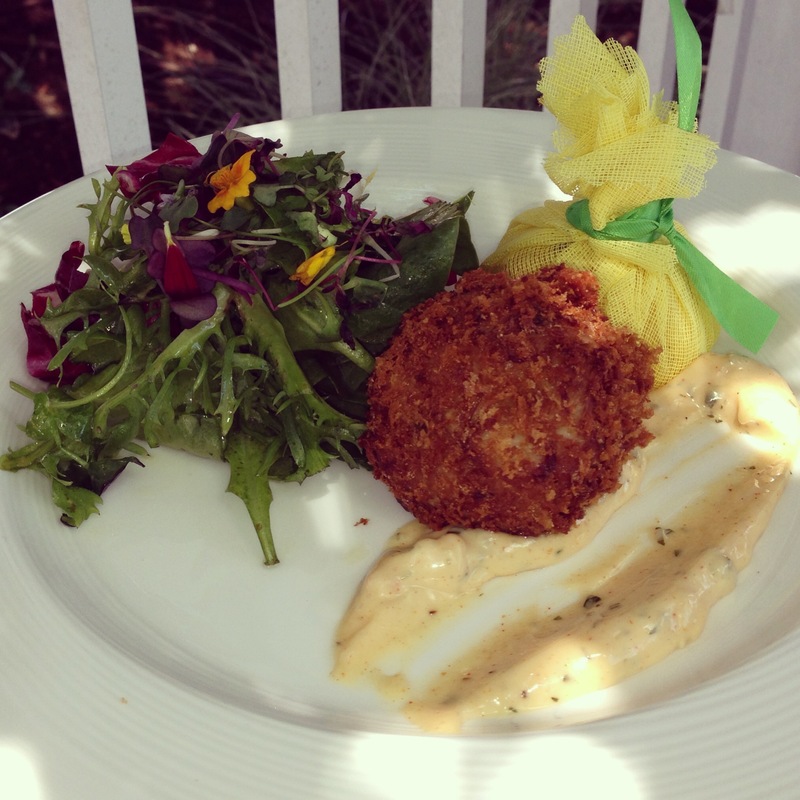 The crab cake was fried with tender pieces of crab, a Cajun remoulade and a spring market salad. I enjoyed the colorful presentation of the crab cake and the savory aroma. Paul ordered the Academy Street Bistro Black Angus burger with fries. 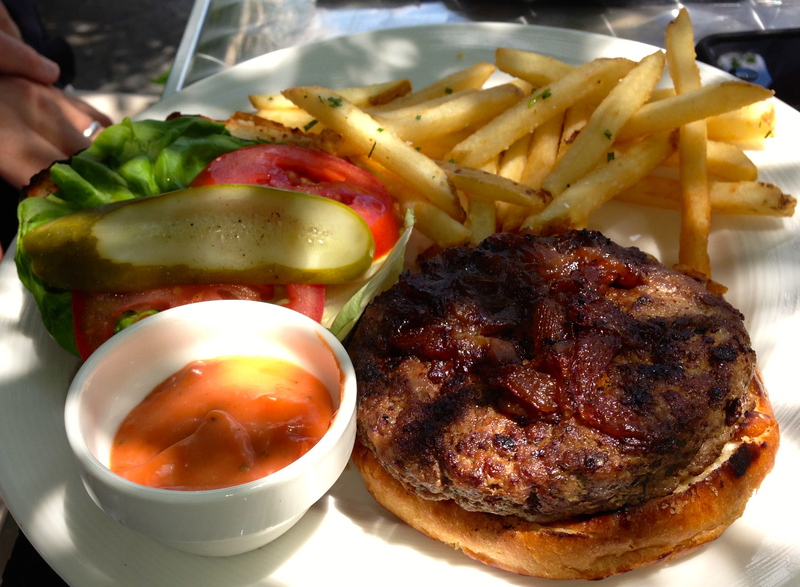 The burger is served with caramelized onions on a brioche roll. Chef Brian also supports local farmers and producers. You have the option of adding Ashe County cheddar or Heritage Farms applewood smoked bacon to the burger. 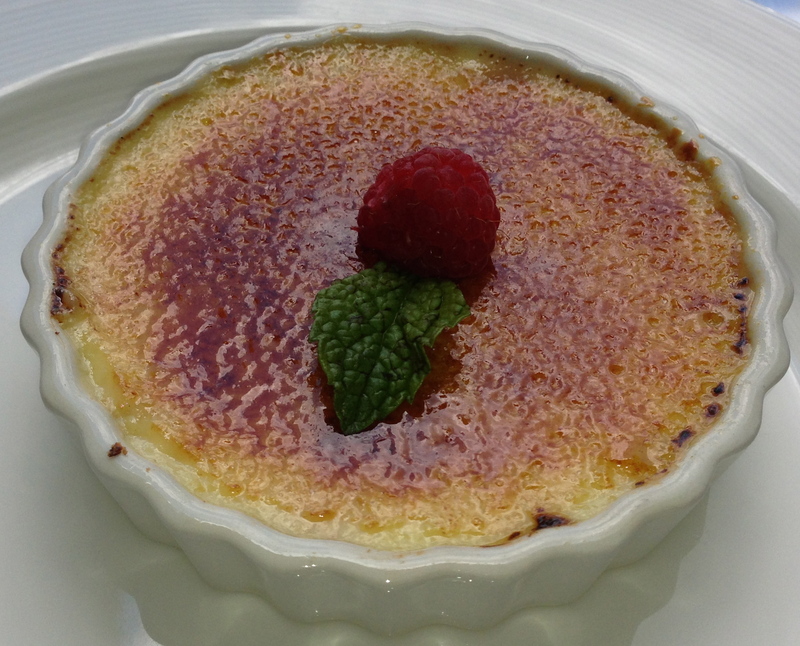 Although I was full after my gazpacho and crab cake, the raspberry crème brûlée was calling my name. I&apos;m so glad we ordered this dessert. Every other bite was filled with a tart raspberry, which paired nicely with the sweet and creamy flavor of the rich custard. Just when I thought I couldn&apos;t eat anymore, two more desserts arrived to our table. Paul and I shared the fresh berry fruit tart. 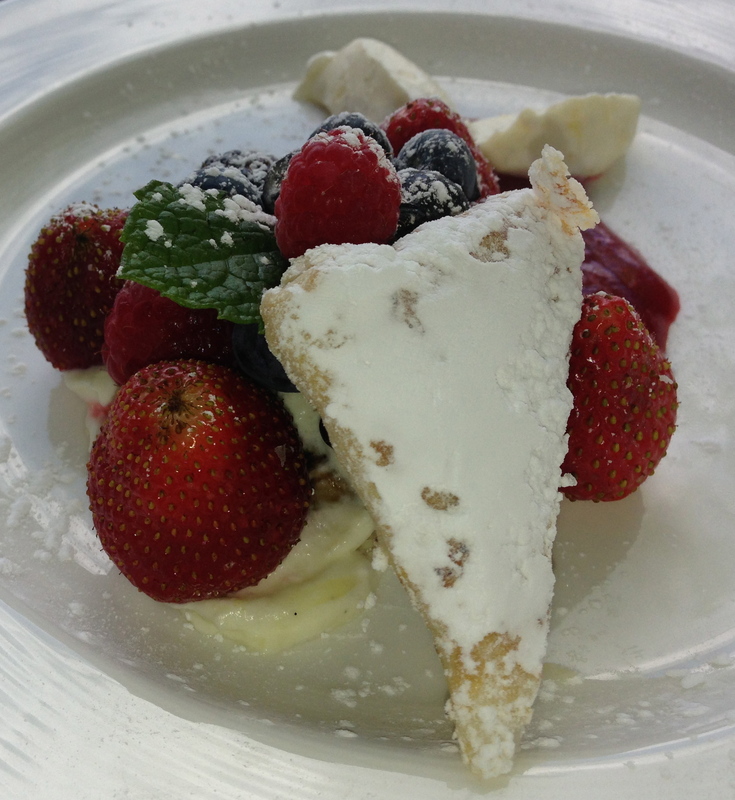 The tart was flaky and served with chantilly cream and raspberry coulis. The assorted cookies were also delicious. 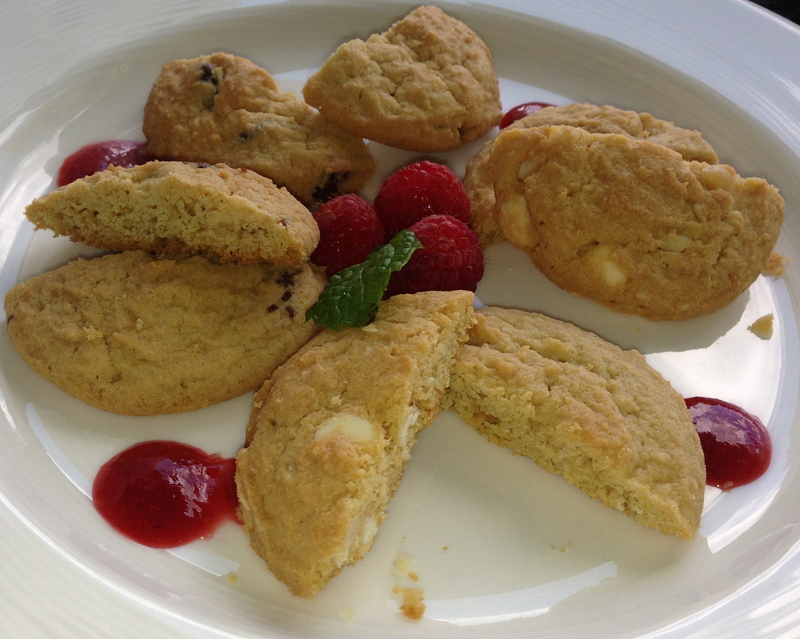 We tried the chocolate chip and white chocolate macadamia nut cookies. The cookies were soft with the perfect amount of crunch and buttery flavor. Chef Brian has created a wonderful restaurant in downtown Cary. He is graduate of the Culinary Institute of America in Hyde Park, New York. He has held chef positions in some of the finest hotels and restaurants in New York City, and was most recently the Executive Sous Chef at the Harvard Club of New York. He&apos;s had the amazing opportunity to cook for noteworthy people like Michelle Obama, President George Bush, Barbara Bush and Al Gore. Although his resume is quite impressive, Chef Brian is a laid back person with interesting hobbies. His passion is traveling and he&apos;s visited Germany, Ireland, Thailand, France and Prague. You&apos;ll also see a shiny motorcycle parked outside Academy Street Bistro; that&apos;s Chef Brian&apos;s ride. When he&apos;s not riding around town, you&apos;ll find him participating in mud runs, marathons and triathlons. 1. My favorite kitchen gadget: Mandolin. 2. When I go out to eat with friends I go to: Coquette. 3. On my iPod right now: "How You Remind Me" by Nickelback. 4. My must-have North Carolina ingredient: Pea shoots and greens from Motley Crops. I use these products for my seared diver sea scallops. 5. My worst kitchen disaster: In one of my previous restaurants, a guy was shadowing me for the day in the kitchen. He told me he was going to the bathroom but left the restaurant instead. I was going to hire him, too! 6. I dream about cooking for: My mentor, David Burke who I used to work for at the River Café. I haven’t seen him in about seven years and I would like to show him how far I’ve come in the industry. 7. My favorite menu item: The crab cake. 8. The hardest thing to cook: Foie Gras Torchon. 9. Favorite attraction in Greater Raleigh: Cary Arts Center, which is located in the building of the first high school in N.C.
10. In another life I would be a: Race car driver.